Bulgogi Brothers is a franchise Korean restaurant. 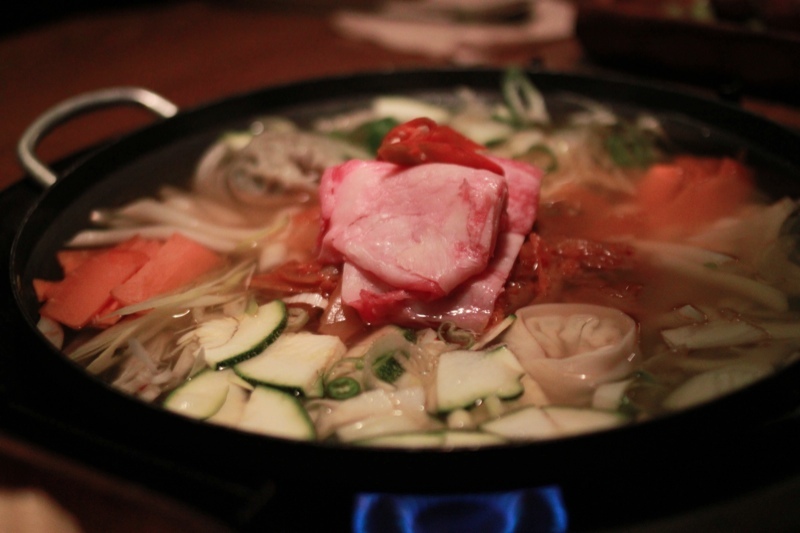 It seems almost like a westerner decided to make a Korean restaurant "foreigner friendly." It's not awful, it's fine and I think it would work overseas. I could see Bulgogi Brothers do for Korean food what P.F. Chang did for Chinese-franchise it. There is just one problem: they are in Korea. The food is alright, but not totally authentic and it seems a bit overpriced for what you get. 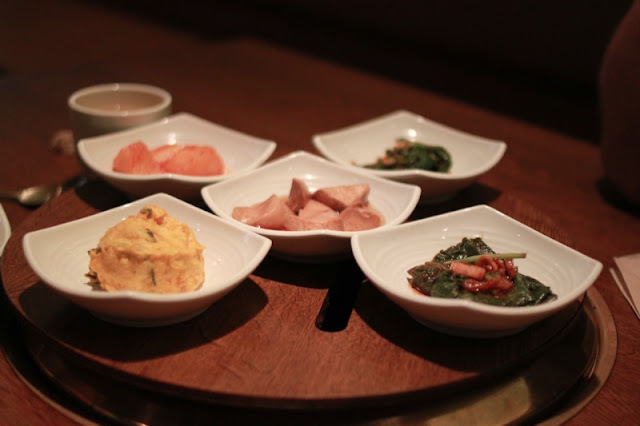 The banchan (side-dishes) lack freshness and punch. The styling is quite nice though and I would take some of my "not-so-adventurous" guests there. 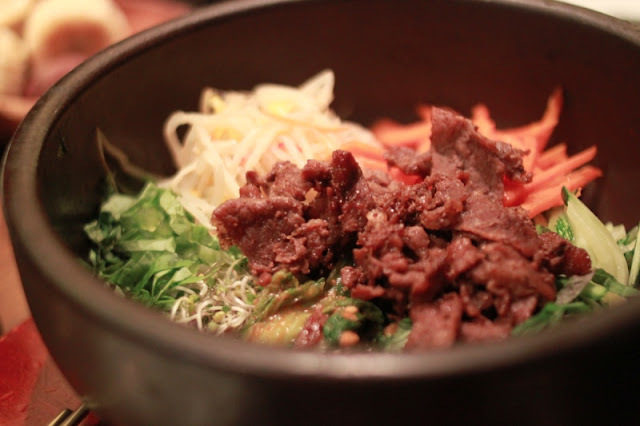 The bulgogi is pretty good though, but not as good as Sariwon or Woo Lae Oak. Also, on top of that, the prices are marked up 20% from regular Korean food prices. 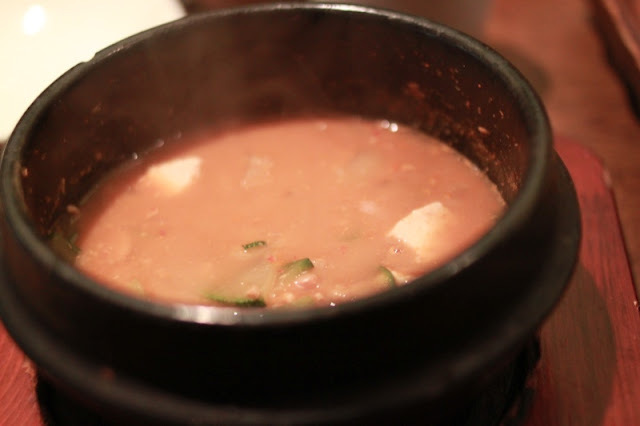 A Cheongukjang (a rich, fermented soybean stew) was 8,000 won and I believe the bibimbap was as well. The problem was not with the prices, but the lack of quality. I got a half bowl of cheongukjang that wasn't very flavorful. Again, it's one of those places that look very nice, but can't deliver food to match. Oh, did I mention that the styling of the place is good? It is. Oh, and they have comfortable chairs and a catchy name. 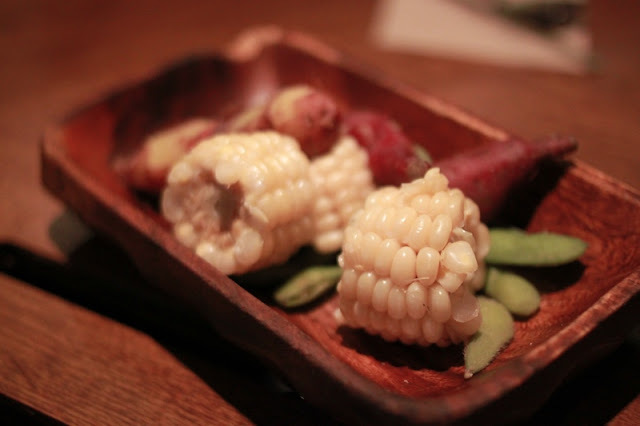 Hmmm...(my writing teacher always told me to end on a positive note) Oh, they give you corn, with edamane, and sweet potatoes as a starter. It was a very nice touch.